In which I commit the eternal folly of trying to argue with Weeping about medieval history. The proud always want to be happy and to avoid sadness, as in “Where there is merriment, there is the heart of a fool.” The monk who has come down these two steps of pride in arriving at light-mindedness by way of pride will find that the joy he is always seeking is often disturbed by sadness; he will be upset by the goodness of others. Impatient at his humiliation he flies to false consolations. Anything that shows him his own vileness and the excellence of others checks his curiosity; but on the contrary, he is always ready to notice anything which makes him seem to excel., He uses curiosity to perceive how he excels others, and he always deceives himself so that he avoids sadness and can go on being happy. Bernard has some good points here — he wants people not to be silly and shallow. But his solution, which Weeping notes “runs counter to American social values,” involves the kind of stoicism that loathes humor as much as hedonism, joy as much as jealousy, greatness as much as gutlessness. Bernard’s twelfth-century church — and it is indeed fair to term it such, for Bernard had as much to do with shaping it as anyone — became a haven for mediocrity, a magnet for suffering in silence while accomplishing nothing of great value. If you know your medieval history (and I really don’t), you know that Heloise was the sometime lover and wife of Bernard’s greatest intellectual opponent, the arrogant scholar Peter Abelard. Well-schooled in Greek rhetoric, Abelard took great pleasure in linguistically destroying the great monk-theologians of his day with devastating eloquence. Unfortunately, after he began a sexual relationship with his brilliant female student, Heloise, her irate relatives decided to show their gratitude by chopping off his manhood. 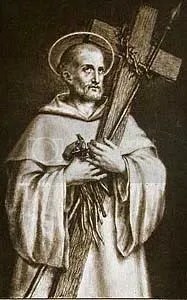 A distraught Abelard became an abbot and bought heavily into the asceticism that Bernard preached. 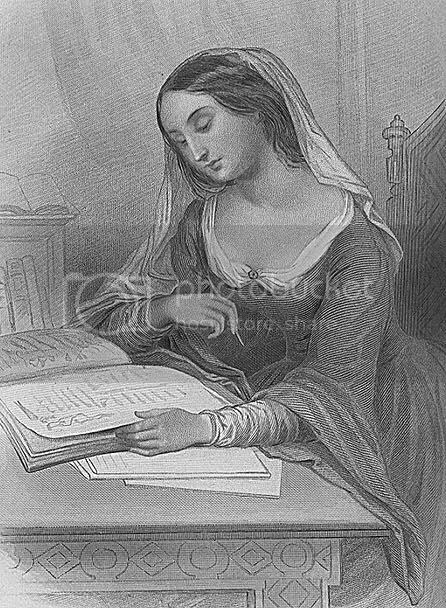 Abelard convinced Heloise to follow his lead and become an abbess in her own right. But unlike her erstwhile lover, Heloise did not take to the religious life. Educated in the Greek and Roman philosophers, she could not simply “turn off” her heart and mind as Abelard seemed to be able to. Our life here is but a languishing death; would you hasten it? Our present disgraces are sufficient to employ our thoughts continually, and shall we seek in the future new reasons for fear? How void of reason are men, said Seneca, to make distant evils present by reflections, and to take pains before death to lose all the joys of life. But you have not added how often I have protested that it was infinitely preferable to me to live with Abelard as his mistress than with any other as Empress of the World. I was more happy in obeying you than I should have been as lawful spouse of the King of the Earth. Riches and pomp are not the charm of love. True tenderness makes us separate the lover from all that is external to him, and setting aside his position, fortune or employments, consider him merely as himself. Heloise, long ignored by historians, is finally coming into her own as a subject of serious scholarship. Her Greek-influenced belief in happiness and romantic love stands almost unique in the canon of European medieval thought. Personally, Bernard’s words resonate strongly with me; but that’s because I’m a depressive who has trouble recognizing my value as an individual. Bernard’s words, I believe, speak to my worst nature by validating my depression and natural drive toward self-abnegation. Heloise, on the other hand, gives me hope: she speaks to my worth as derived from natural, beneficial human impulses such as love and affection, and makes me believe that enjoying every moment may be a gift that I have a right to receive. I’ll take that any day over the Jowly-Dog. This entry was posted on Saturday, October 6th, 2007 at 6:54 pm and is filed under Uncategorized. You can follow any responses to this entry through the RSS 2.0 feed. Responses are currently closed, but you can trackback from your own site.